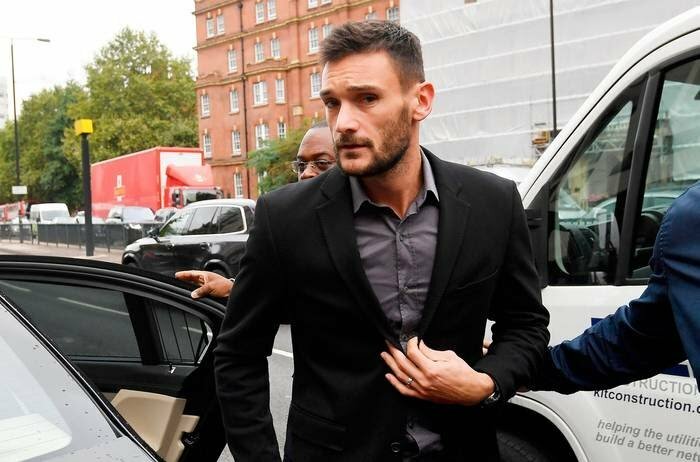 World Cup-winning captain Hugo Lloris has admitted being more than twice the drink-drive limit when he was stopped by police in central London. The Tottenham and France goalkeeper was charged following a routine patrol stop in Gloucester Place, Marylebone, in the early hours of 24 August. Hugo Lloris The 31-year-old, of East Finchley, pleaded guilty when he appeared at Westminster Magistrates’ Court. He was fined £50,000 and banned from driving for 20 months. The court heard police in an unmarked car spotted Lloris’ Porsche Panamera driving at 15mph (24kph) in a 30mph (48kph) zone. He veered his car “towards parked vehicles” before correcting himself and went through a red light, prosecutor Henry Fitch said. When officers stopped the vehicle, they found vomit and said Lloris had to be helped from the car. Magistrate Amanda Barron said it was “pure luck” Lloris “did not cause damage to other vehicles or pedestrians”, and his actions had put his and his passenger’s lives at risk. The legal limit in England and Wales is 35 micrograms. David Sonn, defending, said Lloris had been dining in a restaurant where he was showered with drinks from fellow diners. “On July 15 he was arguably the proudest man on the planet [having captained France to the World Cup victory],” Mr Sonn said. “The spectacular fall from grace is not lost on Mr Lloris,” he said. When sentencing, the magistrate said the fine represented the seriousness of the offence as well as the goalkeeper’s financial means. The Spurs captain has been with the club since 2012.